The 2018 Summer Transfer window is shut. For Watford, it doesn’t seem to have be SLAMMED shut. 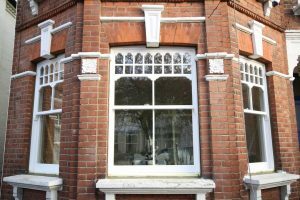 I have a vision of Gino and Scott going over to the window – in my mind it’s an ornate sash window – having one last look outside, before nodding at each other and pulling the window down carefully. Because Watford aren’t a club that sees the last day of the window as if they need to be Indiana Jones in Raiders of The Lost Ark. As the sacred window of ancient Uxmal closes they turn back and grab one last player for dramatic effect. It’s not the Pozzo way! This season, and in many in the past, they were a child on Christmas morning: up early, ready to throw open the window and see the white snow. They rush and open all their presents before 6am. They get their business done early, then use the time left to see if there is any other good deals to be done. 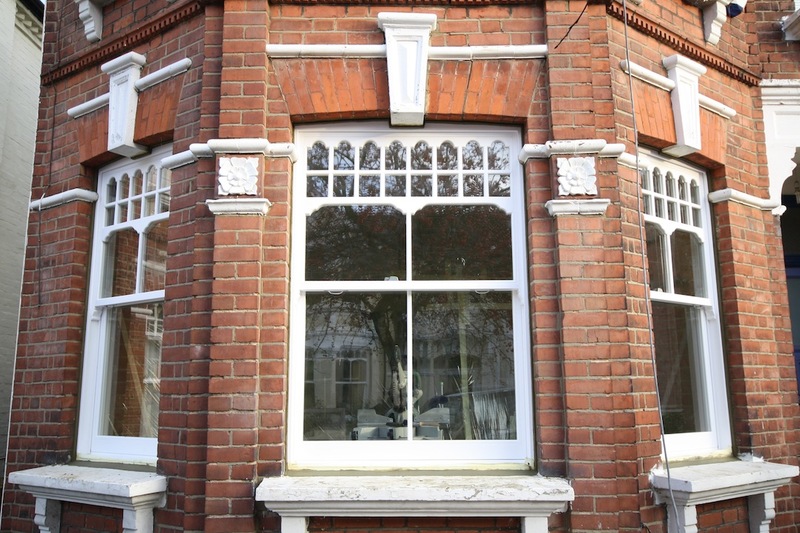 Was this a successful window? We can’t tell for a few months. You have to see how players develop and fit in. It’s should never be about looking at the amount of money a team pays out. Have Fulham been more successful that Watford becuase they spent over £100 million? Maybe, but maybe not. 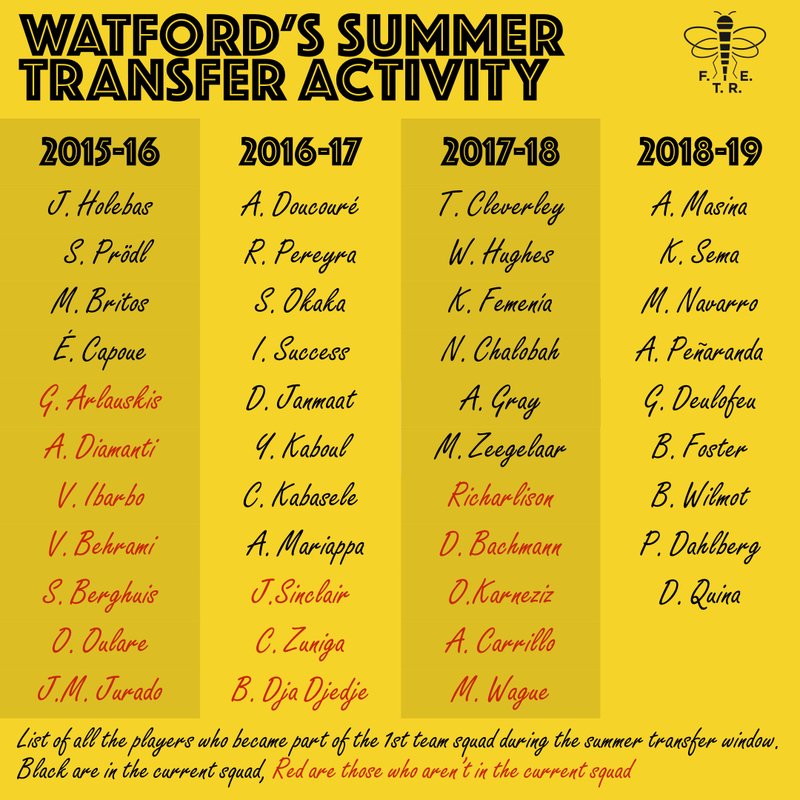 But I wanted to compare different Summer Transfer Windows, I created this graphic looking at all the players that made it into the first team squad over a summer transfer period. 2015-16 (QSF) seemed the least successful, as on two, Behrami and Jurado, of the players that have now gone were regular at some point of their time at The Vic. The rest didn’t make it to 10 appearances and were gone by the following season. 2016-17 (Walter) looks to be the most successful because we still have so many of those players in the first team squad. 2017-18 (Snake) seems to be the best so far, it’s just not stayed fit enough to prove it, and anyone who has left the club was either a loan player anyway, or been sold for an huge amount of money – apart from Bachmann. The 2018-19 window will be discussed on this week’s FTRE podcast, after Brighton at home, and it will prove it’s quality, or not, between now and the window re-opening in January, but for me it seems to be a bunch of players that will stay black for a good few seasons to come.